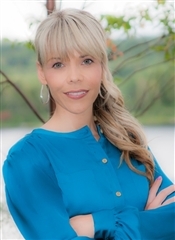 Shelley is a full-time Real Estate Agent & services the central region of Newfoundland. Having years of experience in the industry, she has built a reputation for friendly customer care & proven her ability to guide buyers to obtain the best value for their home & assist sellers in a stress-free sale of their home. She specializes in home buying/selling, investment/commercial properties & relocation. Get the professional experience you deserve!